Pop a cork and let the bubbly flow this Valentine’s Day – sparkling wine sales are booming thanks to our new-found love of home-made fizz. More than 146 million bottles were bought in 2018 – 5.8m of which were produced in England and Wales – and the drink’s popularity is expected to rise further this year. Wine producers around the region welcomed a bumper grape harvest last year thanks to near-perfect growing conditions. A wet spring followed by the summer heatwave led to early flowering vines and generous bunches. English and Welsh sparking wines have been beating the best Champagnes in international blind tasting competitions. 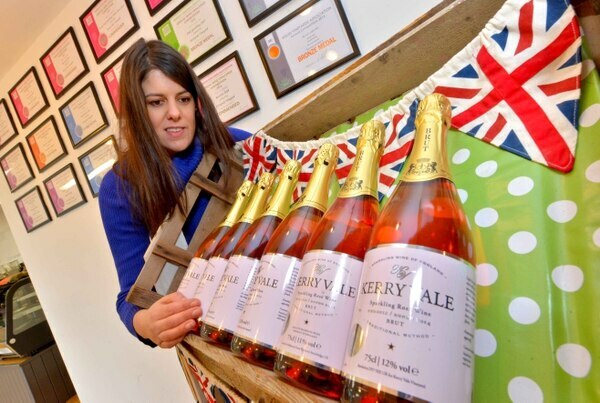 One of the rising stars of English sparkling wine is the award-winning Kerry Vale Vineyard which has three varieties of fizz. 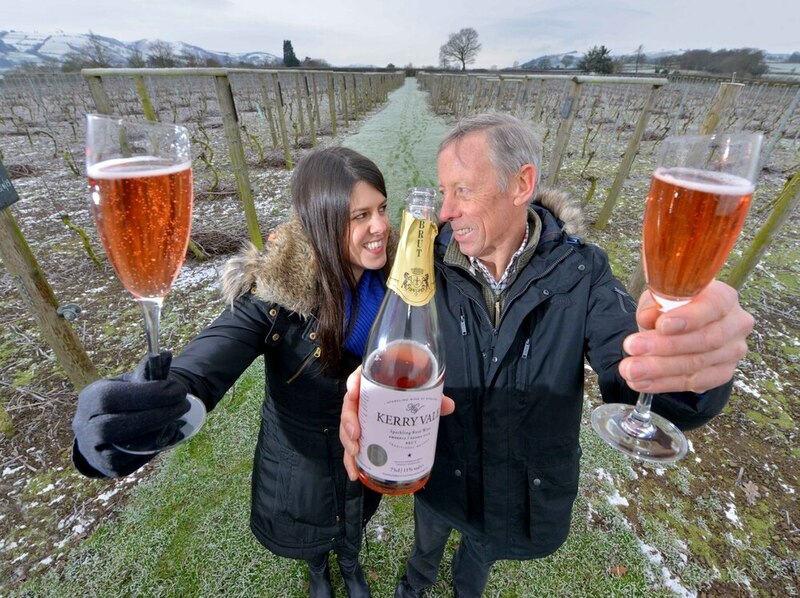 The family-run vineyard, based in Pentreheyling, Shropshire, has made a name for itself since it was founded in 2010 when Geoff and June Ferguson first planted 6,000 vines on six acres of farmland. “We had a holiday park business but we were looking to do something different. When we bought this property the consultation on the land revealed there were ideal growing conditions for vines,” explains Geoff. So they decided one evening over a glass or two of wine to plant a vineyard and to their delight they were able to toast its success as it went from strength to strength. Kerry Vale now has seven still wines including the hugely popular dry white Shropshire Lady and medium dry rose The Rare Hare. And last year, the vineyard added a limited edition red sparkling wine to its existing white and rose varieties amid the growing popularity of the drink. “There’s been a big Prosecco boom and sparkling wines, especially English and Welsh sparkling wines, have become very popular. People are becoming more aware of what high quality produce is being made here,” says Geoff’s daughter Nadine, aged 35. The vineyard is home to three grape varieties – Rondo, Phoenix and Solaris –- which are all ideally suited for our climate and are also disease-resistant. English sparkling wines are made in the same way as Champagne using what’s known as the ‘traditional method’. Champagne is a protected appellation, which means that only wine produced in France’s Champagne region can carry the name. 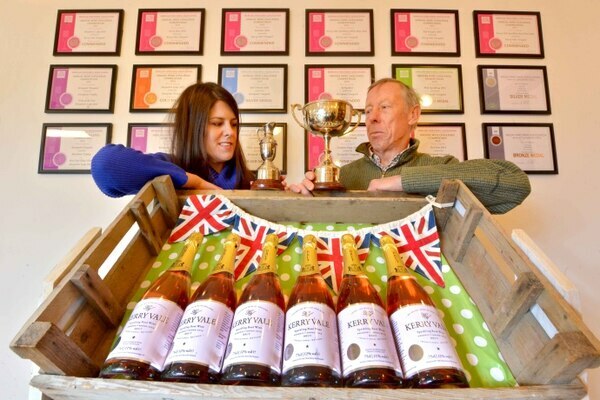 Kerry Vale’s wine is produced at another award-winning vineyard – Halfpenny Green Vineyard in Bobbington, between Wolverhampton and Bridgnorth. The traditional method sees a base wine made and mixed with an active yeast culture and sugar so that once it is in bottle it will ferment. Carbon dioxide gas is a by-product of fermentation and this is trapped inside the sealed bottles, producing bubbles. This secondary fermentation takes place in the bottles and the longer the yeast cells are left in, the more flavour, complexity and texture they give to the wine. The yeast sediment is then removed from the bottles after a period of time. 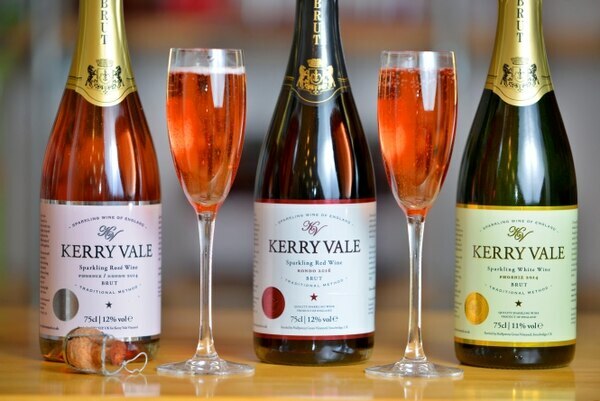 Kerry Vale’s sparkling white and rose wines have spent 24 months on the lees. At the time of year the vines are dormant but there is still important pruning to be done. It’s a labour intensive process because if you walk along the 62 rows, from the first vine to the last, you will cover a distance of around eight miles. Between March and April weeding and general maintenance work is undertaken around the vineyard and from June onwards the team, which includes groundsman Andy Longman, will be thinning and tucking in the vines. “It’s hard work but it’s really rewarding. It’s nice to work outside and be able to walk out of your front door and be at your place of work. It’s also nice to work with family,” says Geoff, aged 60. All of the grapes are picked by hand and each grape variety ripens at different times which means the harvesting workload can be spread over a number of days or weeks. The grape harvest usually starts in late September and can continue through until November depending on the weather. But Geoff says past experience and gut instinct also play a part. “You can usually tell if they are ready by how they feel and how they look. It’s always around the same time of year, over the same two or three weeks,” he explains. The grapes are cut off the vines in whole bunches before being put in trays and transported to the winery. Last year the vineyard had a bumper crop harvesting around 10 tons of grapes from 6,000 vines - enough for 19,000 bottles of wine. While lack of rain across much of the UK proved problematic for many farmers and fruit growers, it was good news for vineyards as it provided plenty of sunshine to ripen the grapes. “We had three times our normal yield because the growing conditions were absolutely ideal. “We are now in the process of deciding what still and sparkling wines we are going to have made,” says Nadine. With sparkling wine sales booming, she believes there is a bright future ahead for the industry with customers having a far greater choice than ever before. “The soil and climate here is great for sparkling wine and it’s not too dissimilar to the Champagne region. “There has also been investment in technology and equipment in the English wine industry which has led to this revival and has really improved quality. “I think more people are appreciating how good English sparkling wines are - they are even beating some of the big Champagne houses in blind tastings. The more popular they become, the more that are being made. 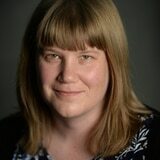 “I also think people are keen to shop locally and are more aware of where produce is coming from. They know that by buying an English sparking wine, they are getting a high quality product for a good price,” explains Nadine. The vineyard, which recently featured on BBC show The Farmers Country Showdown, is open to the public and runs tours and tasting sessions as well as a cafe and shop. It also offers an ‘adopt a vine’ scheme and has a friends group which helps with grape picking. While there are also plans to become a wedding venue next year. The site on which it sits is also of great archaeological interest as it was once part of the ancient Roman site of Pentreheyling Fort and is on the edge of a number of Roman marching camps. Excavation work has uncovered a quantity of Roman pottery, glass, metalwork and coins which are on display. Nadine says they enjoy being able to share their corner of the Shropshire countryside and the tranquillity the vineyard offers with visitors. “In the summer when the sun is shining you look outside and it feels like you could be in the south of France. It really is a beautiful place,” she adds.